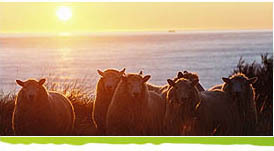 We have farmed Perendale sheep for over 50 years, with 45 years of Perendale Stud breeding. We are committed to breeding sheep to ensure effective production of meat and wool. Four decades of performance recording (SIL#2) experience & data is now enhanced with DNA technology. Mt Guardian employs the Shepherd DNA parentage system. This provides highly accurate parentage recording, enabling rapid genetic progress. Shepherd DNA parentage allows stud recording to be carried out on breeding country that is totally relevant to commercial conditions. Under DNA parentage, lamb survival and inherited lamb survival is consistently higher. WormSTAR identifies animals that not only shed fewer worm eggs onto pasture, but produce well under challenge.